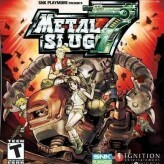 Metal Slug, also known as Super Vehicle-001: Metal Slug is the first entry to the ever popular side-scrolling shooter game. Shoot your enemies and survive the war in this run and gun video game published by SNK. The game was released on multiple gaming platforms and arcade consoles and features cute chibi-sized characters in a violent environment. The game itself is extremely addicting and your goal on each level is to defeat the enemies and the boss at the end of each level. Try to rescue as many hostages as possible to get a chance of getting more powerful weapons. Have fun! 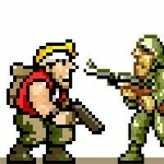 Metal Slug is a fun online Classic game that you can play here on Games HAHA. 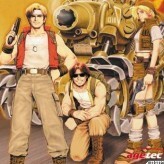 If you enjoyed this game and want to play similar fun games then make sure to play Metal Slug 4, Metal Slug X or Metal Slug 2: Super Vehicle-001 or just go to the Classic games page. 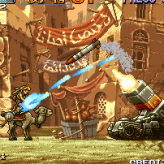 Metal Slug has been played 58,363 times and is another one of the many Classic games that we offer, and if you want to play more games we have see the Fighting games page.